This is an example of the maturing in drones to make safe use our airspace while ensuring we get the benefits of drone technology. Watch this video to see Interpine latest DJI Matrice 210 RTK drone detect and warn the pilot of an incoming manned aircraft. Automatic dependent surveillance — broadcast (ADS–B) surveillance technology in which an aircraft determines its position via satellite navigation and periodically broadcasts it, enabling it to be tracked. The information can be received by air traffic control ground stations as a replacement for secondary surveillance radar, as no interrogation signal is needed from the ground. It can also be received by other aircraft to provide situational awareness and allow self-separation. In this example a DJI Matrice 210 unmanned aircraft (UAV, RPAS Drone) is flying as a manned aircraft takes off from Rotorua airport in New Zealand. 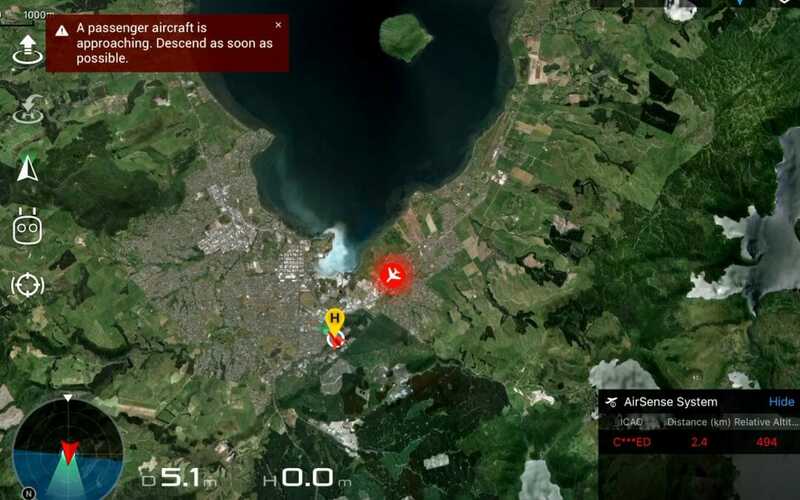 You can see the drone pilot is warned of the incoming aircraft and also provide with the distance, and relative altitude difference, thus enabling informed avoidance of manned aircraft operating in the area. The DJI Matrice 210 has ADS-B In (only a receiver) which DJI have branded their “AirSense” feature. It is great to see this type of technology evolve to ensure our operations maximize safety by reducing risk when operating.